The Easter season is here again. 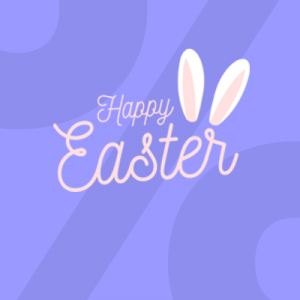 Ubertheme would like to take the opportunity to wish you and yours a warm and wonderful Easter! 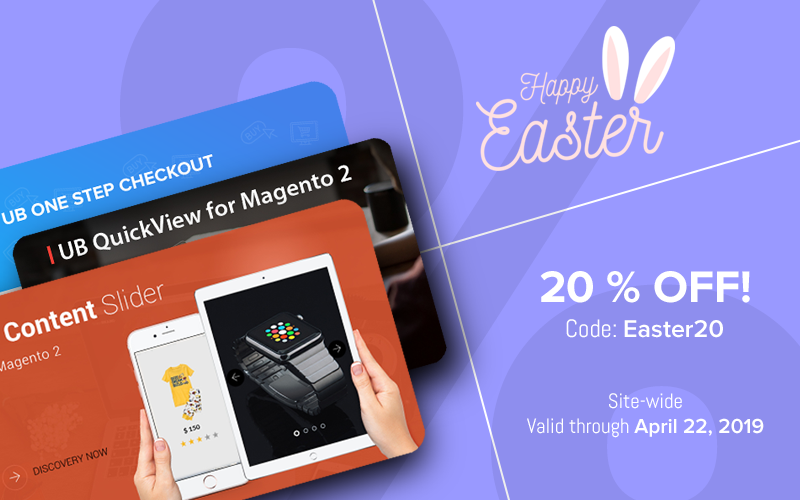 Let’s celebrate Easter together! You will be pleased to know that we are offering an amazing 20% off all new single purchases. On top of that, the 20% discount is applicable for product renewal too. 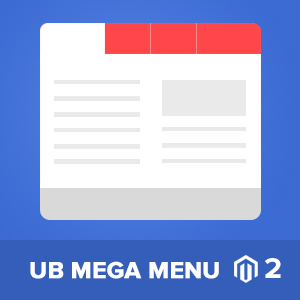 We’re happy to share with you Infinite Scrolling which forms a part of the core features in our upcoming Magento 2 theme -- UB Trex Pro. 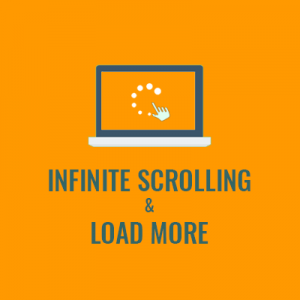 Infinite Scrolling means is exactly what the term describes -- a function that allows shoppers to load product continuously, eliminating the need for pagination. 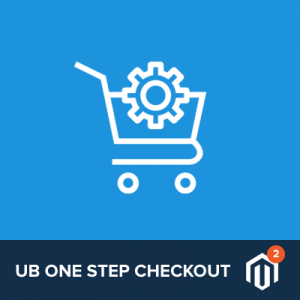 So instead of having to click a link to get to the next set of products, infinite scrolling pulls the next products automatically into view when the shopper approaches the bottom of the page. April 5 Update: Infinite Scrolling/Load More button will be built in UB Trex Pro by default. Mar 20 Update: Let’s take a closer look at one of our latest Product Detail Pages. Scroll down this article to see what we’re working on. 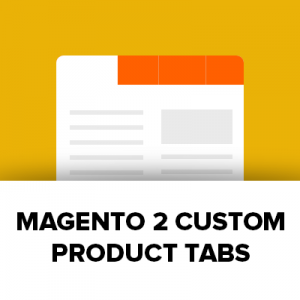 Mar 19 Update: Advanced Product Tabs will be a built-in feature of this upcoming premium Magento 2 theme. 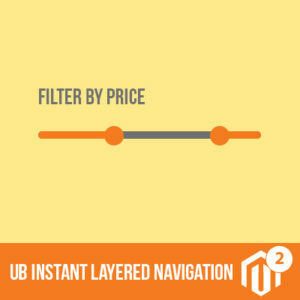 The product page can be difficult to get right. We try to create product page layouts and features that care consistent across the entire catalog, and try to balance between too much information and lack of information.